As part of this ongoing series on Teaching Romanticism we will consider the ways in which we lecture on and discuss individual authors, whether during author-specific modules or broader period surveys. I thought it would be particularly useful to hear about which texts educators use and in what context, whether they place certain poems or prose works against those of other writers, or use contemporary or modern theoretical texts, or something else entirely. For this strand of blog posts I invite academics across the world to share their advice and tips on any aspect that interests them about teaching Romanticism. Many thanks to all of those who answered my call through NASSR-L, The BARS Review, and elsewhere (lightly edited samples are reproduced below with permission of the authors). Please do feel free to contact me with proposals for future subjects. We will be considering a range of writers, canonical and non-canonical alike, in the coming months. 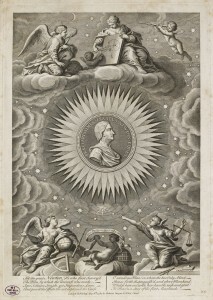 This issue was commissioned by Ros Powell. A palpable challenge when embarking on an undergraduate module on literature and science in the (very) long eighteenth century is how to overcome students’ perception of polarised values: religion and science, arts and humanities, “us” and “them”. In the course of the term’s study, I aim to address these suppositions and assumptions head-on and to encourage students to consider both literature and natural philosophical writings as texts to be analysed and as common reading material for the authors under study. To this end, the course places the study of Pope’s Essay on Man alongside close readings of Newton’s General Scholium and the diction and imagery of Linnaeus’ botanical texts (read in Erasmus Darwin’s translation) is used to inform Charlotte Smith’s Beachy Head. At the beginning of the course, I aim to get a sense of students’ attitudes and scientific literacy. I divide students into small groups and ask them to list the words and characteristics that they associate with “literature” and “science”. These lists – predictably polarised between creativity and fact – are then discussed with the whole class, and at this stage students often begin to articulate links between literary and scientific experimentation. I explain that science is very much public property in this period, transmitted through public lectures and demonstrations and consumed through poems, essays and novels. At this point, I introduce David Locke’s important work in Science as Writing and address concerns with scientific language and clarity in the Philosophical Transactions of the Royal Society. These ideas return as touchstones throughout the course as we move from Newtonian science and poetry through to Blake and Keats (via Johnson’s Rasselas). Close reading of this section tends to elicit responses about similes and the idea of accurate scientific language and the formal confusion in the relationship between catagorisation and Keats’ catalogues. Students often focus on the effect of the scientific gaze on the diagnosis of monstrosity (recalling Martinus Scriblerus’ interaction with Lindamira and Indamora and examinations of ‘monsters’ in Philosophical Transactions). We explore the relationship between perception and knowledge, drawing comparisons with Thomson’s earlier treatment of the rainbow in Spring. Rather than concluding with a sense of clear binaries between philosophy and mystery, the seminar closes with the examination of Keats’ language as students compare the diction, special references, and images used to explore and reconcile conflicting forms of knowledge. We taught science as part of a six-week module on our new course on ‘Objects as Subjects in Eighteenth-Century Literature,’ in which we use handling objects and images from the museum’s collections to explore key themes in the period. For the students, it offers a way into some of the more abstruse contexts of the eighteenth century (what exactly is politeness?) For us, it provides a way of refreshing our teaching provision, and suggests new insights into the parallels between textual and material form. Earlier topics we have covered on this year’s Masters course have included, vice, virtue, and consumerism. For our science week, we decided to focus on the idea of ‘polite science’, partly because it was something I had written about recently, and partly because it reflected what was available in the museum – lots of ceramics and prints, few instruments (these are part of the collections of the separate History of Science museum). The student group that we were teaching came from different period specialisms, so we were dealing with varying levels of saturation in the culture of the period. We sent them at the outset two articles on polite or domestic science: James Secord on ‘Tom Telescope’ and Alice Walters on ‘Conversation Pieces’. Alongside this, they read Erasmus Darwin’s The Botanic Garden (Canto 1 and Proem of the Loves of Plants) alongside selections from James Thomson’s Seasons. What was striking about the class presentations was their surprise, particularly in the case of Thomson, that science and the scientific comprehension of nature were not mutually incompatible – this seemed to be a bigger mind shift for the nineteenth-centuryists than those used to working in the earlier period. We moved on to think about the aesthetic potential of scientific revelation: one student quoted Keats on natural philosophy unweaving a rainbow, and then moved on to Thomson’s lines on the rainbow from ‘Spring’, which juxtapose a Newtonian demonstration of the nature of light, alongside a rustic swain’s rather different awe as he races to find the end of the rainbow. Reading Thomson alongside Darwin foregrounded the gendering at the heart of Darwin’s poem – and of course, at the heart of Linnaean taxonomies (the gender politics seem much less obvious in The Seasons). We discussed the implications of what seemed like the overt sexualisation of plant biology in Darwin’s narratives of plant romance (which we noted didn’t actually work as an account of plant reproduction), and how this sat with the wider concern about female knowledge, visible in texts like Polwhele’s The Unsexed Females. 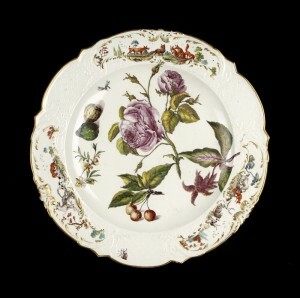 The secondary articles had introduced the students to the idea of the social dimensions of scientific knowledge, and at this point we moved on to look at a series of porcelain objects with botanical illustrations, ranging from Meissen chinaware from the 1740s through to Rockingham hard paste porcelain from the 1820s. The changing affordability and quality of the pieces offered a good illustration of the increasing uptake of botanic interests through the middling sort. We noticed that the plates weren’t decorated with what we might have thought of as the most aesthetically beautiful elements of the natural world – there were worms and houseflies alongside pears and blackberries, and these were often completely out of scale. This provided a great way back into considering the tensions between aesthetic form and scientific accuracy that we’d seen in the verse. We finished by looking at a 1780s print of Newton, the man monumentalized as a medal in the centre of the solar system: the image was accompanied with some lines of verse expanding on his achievements. This enabled us to discuss reputation and celebrity in scientific culture, and the way in which reputation could be celebrated in forms which did not necessarily engage with the complex detail of the scientific writing itself. It was a productive and lively session – solar systems on teapots, or botanical pomade pots offer a way of exploring questions of access and sociable knowledge that are often missing in the discussion of the history of science in literature. Today physiognomy is often and quickly discarded as pseudoscience but in the late 1800s Johann Caspar Lavater (1741-1801), a Swiss theologian and writer on physiognomy, was trying his hardest to re-introduce physiognomy, the study of the face, as a burgeoning science of character. I teach physiognomy and its interdisciplinary cultural context on a course on Romanticism, which runs in the final year at my institution. The course includes major and minor works of first and second generation writers. I teach physiognomy to get students to think about how identity is both created and constructed through the body and its representations. For example, when I teach Frankenstein, I take a detour through physiognomy to make students think about the painful reality of the creature’s physical body and how this body reflects back or rather impinges on his spiritual well-being. Physiognomy’s interdisciplinary cultural context allows for the use of very different texts. When I introduce physiognomy I start with how it intersects with the discourse of portraiture. Lavater analysed the faces of his contemporaries but soon came to prefer portraits as they fixed likeness into one expression. 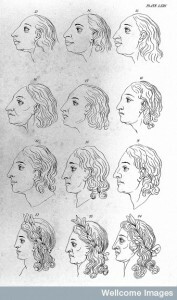 When his physiognomy was translated into English in the 1790s, it included a huge number of engravings, which Lavater presented as evidence for his physiognomical readings. He urged readers to agree with him, because, for Lavater, physiognomical judgement depended on sensations which were measurable through agreement. In my teaching I foreground Lavater’s literary devices and rhetorical strategies as well as the consequences of his alleged use of a scientific methodology (essentially a pretext for assessing or rather imposing spiritual identity during a physiognomical reading). This dynamic, the projecting of identity, helps to contextualize Victor Frankenstein’s scientific experiment and solo effort in creating a new, perfect being. The creature’s identity is ruled by its physical appearance, which terrifies those looking at it. Just as in Lavater’s physiognomical readings inner and outer identity collapse and the creature is perceived as what it looks like – a monster. Because Lavater preferred analysing portraits to reading people, he rejected pathognomy, the study of emotions. 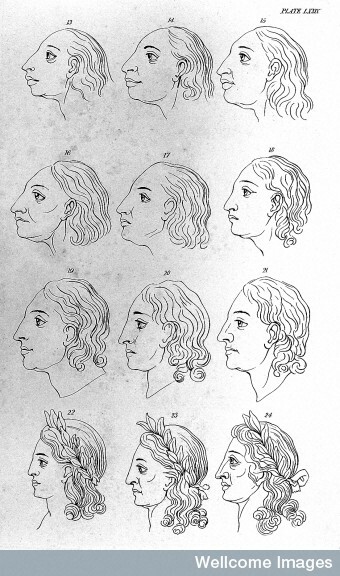 He focused on bone-shapes, which explains why the faces in Essays on Physiognomy are often lifeless, but, for Lavater, this was the only kind of evidence to consider. During a lecture I venture into Romantic visual culture and the ‘chain of being’; again taking my lead from Lavater, who talked about man-animal analogies in Giambattista della Porta’s De Humana Physiognomia (1589) and caricature and William Hogarth, I introduce the poem-pair “The Lamb” and “The Tyger” from Blake’s Songs (1794). The discussion focuses on character-traits, verbally and visually expressed in the accompanying illuminations. I ask students to think about the visual coding of non-verbal expression. The leading questions are: what constitutes identity and how is it perceived by those looking? Lavater’s reason for his decision to ignore emotions is the starting point for the session on Joanna Baillie’s Plays on the Passions. This session, of course, is bolstered with a lecture on Romantic Theatre, Baillie’s medical family connections and the “Introductory Discourse”, where Baillie explores ideas about dramatic form; she essentially redefines the relationship between language, character and plot and, like Wollstonecraft, Baillie was in favour of rational education. In the seminar we look at De Montfort, Baillie’s play on hatred, which raises interesting questions about character and how it is represented or embodied by an actor. When teaching De Montfort I detour through Lavater in order to make students think about how drama conveys character and how a character is constructed and perceived by its author and audience.